"The EU's post-Copenhagen strategy should be just to have a strategy, any strategy," quips one Brussels think-tank wag during an interview. The rough hip-check Europe received in the Danish capital in December, sidelining the bloc during the eleventh-hour huddle between major powers that produced the Copenhagen Accord, has produced a wave of despondency and cynicism amongst Brussels politicians, green lobbyists, and analysts - and carbon traders across the continent to boot. They're all having a crack at how poorly the EU played its hand during climate negotiations. 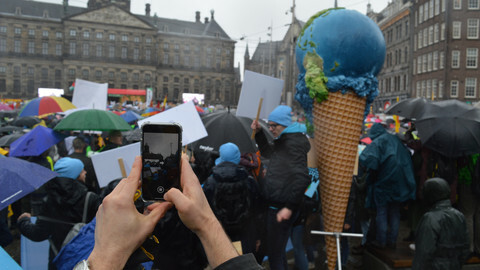 For the last three years, if it hasn't been the institutional reform of the Lisbon Treaty, it's been the bloc's obsession with climate change that has dominated the EU agenda. Even if the EU is well off the at least 40 percent cut in emissions that science demands if we are to avoid catastrophic climate change, it remains the case that as a result of its 2008 climate and energy package, Europe remains the most advanced rich-country power on the planet in terms of its binding CO2 reduction commitment. With its climate boy-scout badge afixed to its sleeve, Brussels headed off to Camp Copenhagen expecting at least to see its self-proclaimed leadership reflected in winning something along the lines of a broad commitment from other powers to at least a 20-percent cut in carbon emissions below 1990 levels by 2020. But in the end, the EU ended up the goody-two-shoes pupil who's top of the class, but yet, when he invites all the other kids over for a party, glumly watches as they end up playing among each other instead of with him. It was the US, China, India, Brazil and South Africa that cobbled together the last-minute three-page-long Copenhagen Accord without the EU even in the room, while most of the developing world complained throughout the two weeks that Brussels was at best just a cat's paw for Washington. Denmark's Connie Hedegaard, now incoming EU climate commissioner, was repeatedly attacked for favouring rich countries over the developing world. "It was the strangest conference I have been at in my life, from all points of view," Mr Barroso told a pow-wow of the leading European think-tanks in early January. Typical of the initial EU reaction were comments from Swedish environment minister Andres Carlgren, who, when meeting in Brussels in late December with his EU counterparts to debrief after the UN summit and begin the discussion of what to do next, slammed the result as a "disaster." "It was a really great failure and we have to learn from that," he said at the time. However, after the holidays, a clutch of pollyanna-ish EU officials have since fervently urged everyone to consider the Accord's silver lining. Both President Barroso and the bloc's chief climate negotiator, Artur Runge-Metzger, in various venues have emphasised that many of the things the EU had been pushing for were contained in the final result - developed countries agreed for the first time a concrete sum for climate finance, a target maximum average global temperature increase of two degrees was embraced and a review, allowing for a ratcheting up of targets if necessary, is foreseen for 2015. Ms Hedegaard during the parliamentary hearing to confirm her appointment as commissioner gave a robust defence of the document. "I would very much have liked to have seen more progress in Copenhagen, but finance was delivered; all the emerging developing nations have accepted co-responsibility [for reducing emissions] and Brazil, South Africa, China, India and the US, all of whom were not part of the Kyoto Protocol, have now set targets for domestic action," she told MEPs mid-January. But even as the EU begins to view the Copenhagen glass as half full, elsewhere, support for the document is beginning to unravel. Last week, realising that only around 20 countries had listed their emissions reductions commitments in a schedule attached to the Accord, UN climate chief Yvo de Boer quietly abandoned the 31 January deadline for states to have done so. 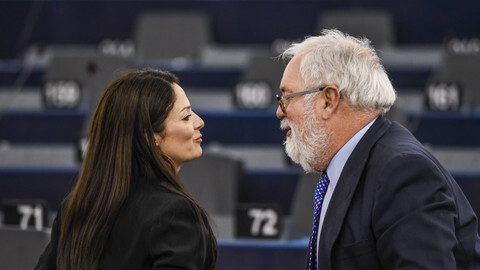 At the same time, EU member states that have never been comfortable with the bloc's climate ambitions have used the opportunity to delay or block European plans to boost its CO2 emissions reduction commitment from 20 percent on 1990 levels to 30 percent. On 18 January, environment ministers met in Seville, to assess, for the second time, the reasons for the failure in the Danish capital. 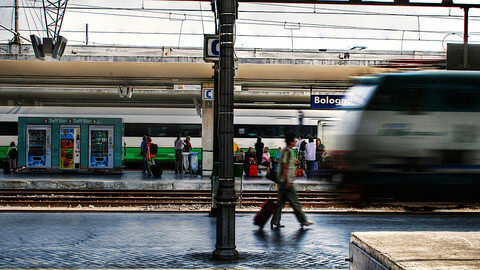 UK, France, Germany, Belgium and Spain continued to push for the increased pledge, while Italy and Poland said now was not the time given the poverty of ambition by other states at Copenhagen. As of this week, the consensus in the bloc is to maintain its target of 20 percent and conditional offer of 30 percent if other powers make comparable efforts - in other words exactly the same position the EU has held for the last year, although Ms Hedegaard has publicly said she hopes to see a move to 30 percent "by Mexico," meaning the next UN climate summit in the Central American nation at the end of 2010. 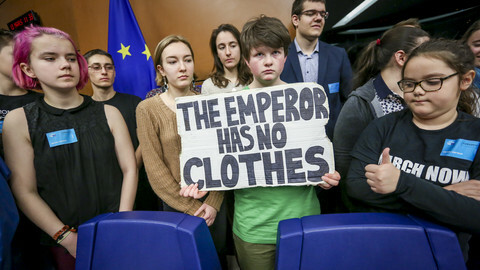 At the same time, the commission itself is in the 'twenty-percenter' camp, pushing this position in Copenhagen, "afraid to be naked" with nothing left to put on the table in the game of climate strip poker. Moreover, crucially, the executive's goal of a transatlantic emissions trading system is unworkable with cuts pledges that are wildly divergent and without legally binding commitments from Washington. The US is looking to a 17 percent emissions reduction on 2005 levels, which works out to be just three percent when using the same 1990 baseline year as the EU. Watch for the US, if legislation gets through, at some point to somehow nudge up its cut to 20 percent and the EU to stick to the same figure, dressed up in language about how the two targets are now comparable, with a fudge over the differing baseline years. Separately, four of the five architects of the Accord, Brazil, South Africa, India and China, have themselves gone lukewarm on the project, smarting from accusations from much of the rest of the developing world that these four richest of the poor countries had broken ranks after a year of unprecedented global south unity. Last weekend, meeting in New Delhi, the four so-called Basic countries described the accord as merely a "political understanding" without any legal basis and that action should instead proceed on the basis of the two documents to come out of the official UN process - one outlining the second commitment period for the Kyoto Protocol and the other dealing with climate actions by the US and emerging economies. Indian environment minister Jairam Ramesh said: "We support the Copenhagen Accord. But all of us were unanimously of the view that its value lies not as a standalone document but as an input into the two-track negotiation process under the UNFCCC." "The two-track negotiating process ...is the only legitimate process to reach a legally binding treaty in Mexico," he added. Meanwhile, the cornerstone of the Accord, an understanding that however limited America's commitment, Washington would at least be able to deliver on this promise. But with the surprise election to the US Senate of Massachusetts Republican Scott Brown on an anti-climate-bill ticket, killing the Democrat's filibuster-proof majority, the country's climate legislation is threatened. A defeated or heavily watered down bill only engenders further reservations in the minds of Chinese, Indian and even European leadership about promising tough reduction targets. For all the public talk of Latin American, Chinese and African climate "villains" blocking the process in Copenhagen, privately, there is frustration with Washington as well. A senior EU policy official speaking to EUobserver described President Obama's position as the same as that of George Bush. "We are willing but only if others move," the official said, attributing the position to both the current and former US leaders. 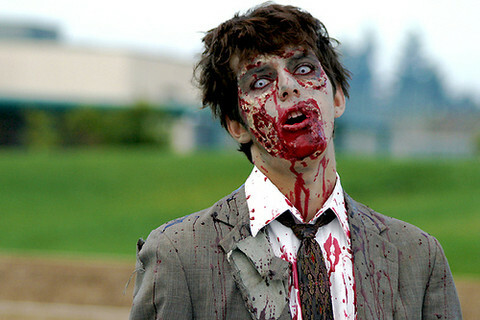 A popular post-Copenhagen analysis from the Brookings Institute, the centrist US think-tank, that has made the rounds of officialdom and NGO-land warns of a slow-motion failure scenario similar to the Doha round of WTO talks, a process it describes as a "multilateral zombie" in which climate negotiations "stagger on piteously, never making much progress while never quite dying either." Nevertheless, despite the dark days and the cynicism of some onlookers, we can already begin to sense the outlines of a European strategy. EU Council President Herman Van Rompuy has already said he hopes to see a common climate strategy emerge from an 11 February extraordinary EU summit originally scheduled to deal with the economy. Angela Merkel, as well, has upgraded a climate meeting in Bonn in June from expert to ministerial level and the European Commission is preparing a series of proposals that it is to put to the member states. "We are fragmented from a negotiating point of view," President Barroso said in his first public appearance of the year. "In trade matters, this is different. The European Commission is the voice." Ms Hedegaard is of the same mind. In her parliamentary hearing, her top message concerned European disunity: "In the last hours, China, India, Russia, Japan each spoke with one voice, while Europe spoke with many different voices." "A lot of Europeans in the room is not a problem, but there is only an advantage if we sing from same hymn sheet. We need to think about this and reflect on this very seriously, or we will lose our leadership role in the world," she told MEPs. In a similar vein, the commission president has also suggested that the new EU External Action Service - the bloc's diplomatic corps born of the Lisbon Treaty - be given more leeway to engage in climate bargaining. Until now, this sort of bilateral pressure has been left up to the member states, with Paris tasked with winning over Francophone Africa, London with arm-twisting the Commonwealth and Berlin given the job of seducing Pacific islands. Before last autumn's federal election in Germany, then-foreign-minister Frank-Walter Steinmeier was meeting regularly with the Association of Small Island States and 20 Aosis ministers visited the country last year specifically to discuss climate issues, while Ethiopia's surprise intervention at Copenhagen proposing a deal that mirrored almost word for word a European Commission proposal from September came as the result of UK and French behind-the-scenes intercession. While this sort of member-state activity is likely to continue, the Lisbon Treaty has given the commission a powerful new diplomatic weapon it intends to use to the fullest. Related to this, the major task will be to break the remarkable unity shown by developing nations. The UNFCCC's principle dating back to Kyoto of "common but differentiated responsibility," is understood by developing nations to mean that those countries that caused the problem should pay for solving it and make binding commitments to CO2 reductions. The third world has said that it would be happy to develop along a low-carbon path itself, but that the rich north will have to pay for this and that their emissions cuts should in any case be voluntary. The World Bank, unhelpfully, has estimated the cost of all this to be $400 billion a year. Meanwhile, wealthy nations, would rather that the developing world, but specifically China and to a lesser extent India, agree to binding, verifiable CO2 cuts without the price tag. The key advantage of the Copenhagen Accord for rich countries is that it "weakens or even does away with the principle of common but differentiated responsibilities," as the South Centre, a Geneva-based think-tank close to developing world governments, warns - another reason why the Basic countries, upon reflection, have taken a distance from the deal. In many ways, Copenhagen was a victory for the developing world, in that it managed to hold off against pressure to junk the Kyoto Protocol and in the end ensured that the Copenhagen Accord was only "noted" by the UN plenary instead of endorsed, making it a document floating in a legal limbo. For this reason, the US has called for a junking of the UN process, hoping that it can win other countries to its perspective via more manageable arenas such as the G20 or the Major Emitters Forum, where there are far fewer than the UN's 192 nations to deal with and the 'awkward squad' of left-wing Latin American nations and the G77 group of nations are absent. Both Jonathan Pershing, America's chief negotiator, and US climate envoy Todd Stern have said the UN should be sidelined. EU leaders however "are less neurotic about the UN than the Americans are," in the words of the Centre for European Policy Studies' climate specialist, Christian Egenhofer. At the same time that President Barroso admitted to pulling his hair out at the UN process, he also said there is no other option. "We need to have a more efficient and results-oriented process in the future ...With unanimity, it is easier for one country to block - it's the basic logic of the system," he said in early January, adding however: "It's very easy to criticise the UN ...but the UN is what the members make out of it." Although some Spanish presidency officials at one point said that climate negotiations should pass through the G20 instead, everyone else, from Mr Runge-Metzger to Ms Hedegaard believe this cannot be done. "Some ask: 'Shouldn't we give up on the UN process?' I say: 'No.' 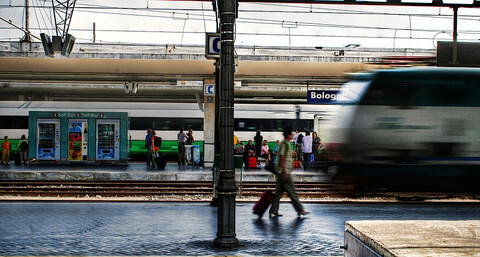 We would waste too much work," she told the European Parliament. Instead, according to Mr Runge-Metzger: "The next step for the EU is to get the accord translated into the UN process," to try to lock in agreement in other fora and then feed this into the main UN negotiations. The key is to appear to be endorsing the UN process while still pushing for other fora to do the heavy lifting. One arena in particular that climate watchers should keep an eye on is the UN High-Level Panel on Climate Change and Development, announced by Secretary-General Ban Ki-Moon last September and to be launched early this year. Made up of a handful of current heads of government, along with experts, senior government officials and community leaders, the panel will be a much more manageable entity, but will also have the imprimatur of the UN. Meanwhile, EU officials are briefing heavily against the awkward squad, attempting to paint them as obstructionist and unrepresentative. Reporters are reminded of G77-chair Sudan's authoritarian government, while Ethiopia, which has authoritarian rule but is on side, is never criticised. With Yemen, the birthplace of the infamous underpants bomber, holding the 2010 presidency of the group, this will be an even easier public relations hatchet job. But it was not just a handful of countries, but the entire Africa Group of Nations that forced a suspension of proceedings when they twice walked out of the UN complaining of rich country shenanigans. Latin America and the loudmouthed-or-eloquent (depending on who you asked) Oxford-educated G77 negotiator Lumumba di-Aping, famous for his line that an offer of $10 billion in climate finance "is not enough to buy us coffins," were only the most vocal of a host of frustrated countries. At the same time, even ardent developing world advocates privately express their discomfort at the wealthy elites of China and India using the poor of their own countries to advance an agenda of growth that primarily benefits them. And it is true that the developing world is not all of one mind. Tuvalu is bitterly opposed to the Copenhagen Accord while the Maldives embraces it as the best it can get while the tides are rapidly rising. Elsewhere, the EU is also almost certain to take a fresh look at slapping carbon tariffs on goods entering the bloc. There is no way industry would allow a move to a 30 percent emissions reduction pledge without such protection. "I will fight for a carbon tax levied on EU borders," French President Nicolas Sarkozy said earlier this month. It's always easy to dismiss such ambition when expressed by a man known for his crafting of public policy by press conference, and EU commissioner-designate for trade, Karel de Gucht has ruled a carbon border tariff out, saying: "it will ...lead to an escalating trade war on a global level." But this is what a trade commissioner has to say. Many analysts believe that a carbon tariff is inevitable and even WTO-compatible if multilaterally agreed. The US climate bill already includes a carbon tariff provision and, crucially, this is the stick that could be used to force China, India and other nations to submit to its preferred climate regime of binding reduction commitments for emerging economies. The EU is still essential here. Washington could not move ahead with a tariff without Brussels on board. It should also be remembered that many other major powers were sidelined at Copenhagen. Japan and Russia were also absent from Copenhagen's endgame. In many ways, the EU's limited influence has been largely a product of its own climate success. Although Europe is the world's third largest emitter, this will likely change in the near future. Ironically, if the continent isn't going to be as much of a problem in absolute (as opposed to per capita) terms as China or India by 2030, it doesn't have much of a bargaining chip. Washington was always going to be far more interested in Beijing. Copenhagen was very much the US and China show, but it won't always be. This feature was originially written for the Nordic Council's Analys Norden website. Most members of the European People's Party opposed an amendment which called on the EU to raise its emissions reductions target for 2030. A spokesman called it "unrealistic". 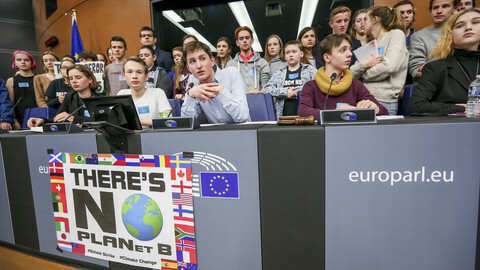 In response to the now worldwide movement of concerned school children, the EU parliament held a debate about climate change. But those pupils attending were not allowed to speak, only to listen.